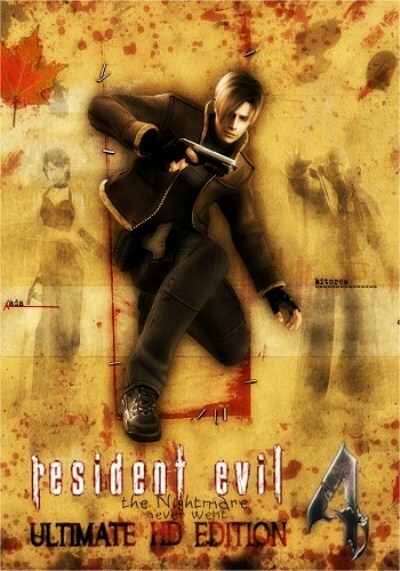 In Resident Evil 4 Special Agent Leon S. Kennedy instructed to rescue the kidnapped daughter of the U.S. president. The investigation leads him to a provincial European village, populated by violent fanatics mysterious sect Los Illuminados behind the kidnapping. Leon will face monstrous mutants and hostile villagers, whose mind is enslaved Las Plagas parasite. These enemies are quite different from the sluggish zombies from previous games. Stunning HD-graphics - for the first time at 60 frames per second. The visual component of your favorite games has been completely revised and brought up to an unsurpassed level of quality. The game is fully optimized for wide screens - text fonts have become clearer and the texture of characters, backgrounds and gaming facilities have been improved. Support platform Steam, including the achievements of Steam, Steam Cloud, cards Steam, global leaderboards and full support for gamepads. New PC version includes everything that was in previous versions of the game, including support for subtitles in English, French, Italian, German, Spanish and Japanese, as well as previously released content - for example, the epilogue "Different ways." Game Version: 1.0.6 (update 6). Does not require third-party installers and updates. Game content packaged in a simple installer with little compression.